Police threw a tight security ring around the Bagdogra airport near Siliguri on Thursday after GJM leader Bimal Gurung, who is in hiding for the past one and a half years, announced he would return to Darjeeling Hills during the day. Police also whisked away Gurung's two aides Roshan Rai and Yogen Pradhan from the airport but said no arrest has been made. Later, a leader of the GJM (Gurung faction) told PTI that Gurung would not return to the Hills on Thursday. 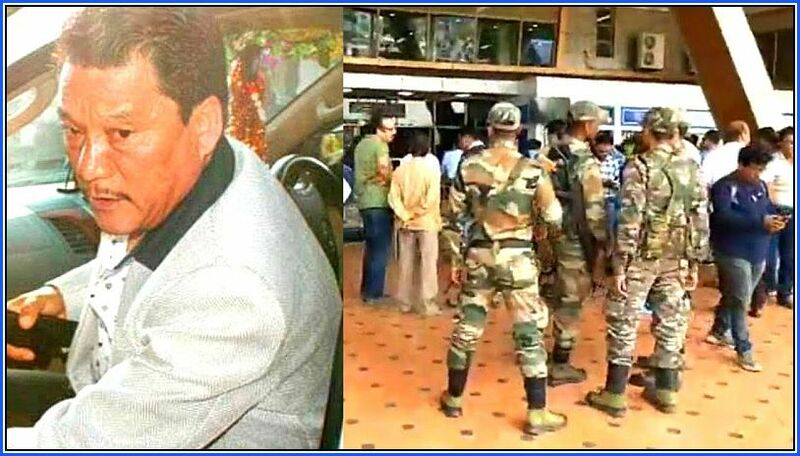 "He could not come to the Hills as the police had cordoned off the entire Bagdogra airport following which he has postponed his plans to return." The airport has no night landing facility. Gurung had announced he would return to the Hills on Thursday, a day after the Supreme Court asked him and his aide Roshan Giri to move the Calcutta High Court for anticipatory bail in connection with the cases filed against them. Loksang Lama, the working president of GJM's Gurung faction, too had said the Morcha leader would arrive in the Hills Thursday. When contacted, Gurung told PTI that people in the Hills are eager for his return. He maintained he is still the GJM supremo and commands the respect and love of the people of the Hills. The GJM Gurung faction and the GNLF, another major player in the politics in the Hills, are supporting BJP candidate Raju Bista on the Darjeeling Lok Sabha seat, while the faction led by Binay Tamang is supporting TMC candidate Amar Rai. Gurung had gone into hiding after the June 2017 clashes in Darjeeling. The GJM split after it and Tamang, his deputy, took over the reins of the Morcha. Tamang then established himself as the de facto leader of the Hills with the help of the ruling TMC and Gurung and his loyalists were expelled from the party. Quizzed about the tight security outside Bagdogra airport, a senior police official said it was precautionary. Asked whether Gurung would be arrested if he tries to enter Darjeeling, the police official, who did not wish to be named, said, "He is claiming that he can't be arrested as per the (Supreme) court order. So we would like to see the order". Gurung's return to the Hills is likely to change the course of election in Darjeeling Lok Sabha constituency and swing votes in favour of the BJP candidate. "I can't wait to return to Darjeeling. Once I am there, I will do everything to ensure the victory of Bista. Tamang and his group are agents of TMC. The people of Hills have rejected him and Rai," Gurung has said. Tamang, when contacted, claimed that the Hills people no longer favour Gurung and his "politics of violence". The Darjeeling Lok Sabha seat is held by the BJP and the constituency is poised for a neck-and-neck contest between the TMC and the saffron party. For the first time in over three decades, the two parties are looking beyond the statehood demand in the region and have stressed on the need to ensure development in the Hills.